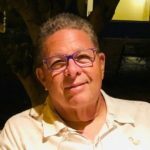 Rubin—Murray Martin, of Jacksonville, Florida, passed away on Thursday, March 7, at the age of 76, on the beautiful island of Bonaire that was his second home for 21 years, after diving with friends who are family. He a graduated from Penn State in accounting and finance and became the Chief Operating Officer/Executive Vice President of Klineman Holding Corporation, a New York venture capital firm. He served on the board of the Fisher Center for Alzheimer’s Research Foundation as Secretary for over nine years. In addition, he served on the boards of The Greater Jacksonville Area USO, and Ribbons of Comfort Foundation, Inc. There are some things in life that you know you have to go through, but never really understand until you get there. This is one of those events. If there is any forgiving exit from this universe, let it be doing what you love, where you love, with those you love. Murray was living out his passion on God’s finest and most magical creation, the deep blue sea. He was a loving husband, father, grandfather, family man, friend and philanthropist. Surviving Murray is his wife Nadine, son Stuart, daughter in law Amy, grandchildren Benjamin, Jacob, brother Barry along with his family and friends from around the world. The family would like to have donations made in lieu of flowers to either the Harbor Village Coral Restoration Foundation, the Fisher Center for Alzheimer’s, or the Jacksonville USO. These causes have been near and dear to Murray’s heart and make wonderful impacts on our world. For security reasons we save the IP address 160.202.36.15.